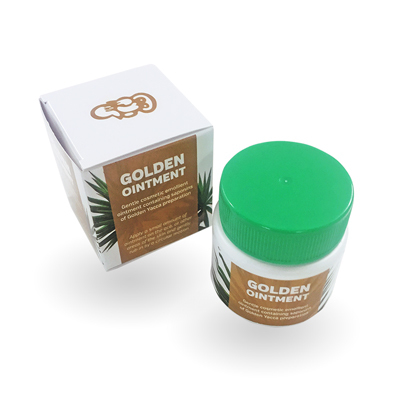 Golden Ointment is an effective in-depth skin cleanser, taking its name and healing strength from the Golden Yucca plant. In-depth skin cleansing is the key to treating many skin disorders, including psoriasis, eczema, leg ulcers, acne, various kinds of pimples, allergic skin disorders and some types of skin damage. It can also help many expensive nourishing creams penetrate deeper into the layers of the skin, improving their effectiveness. One pot contains 60 ml of Golden Ointment.